Rumors have been abundant, but today Skype has released a beta that confirms the addition of Group Video Chat which allows for up to 5-way video calling. Group Chat, shown in the beta, will be available as a premium feature towards the end of this year for all Skype users. Unfortunately, this beta is currently only available for Windows, so Mac users will have to hang tight. Also, all users who wish to take part in the Group Chat must have this new beta installed since it’s not backwards compatible with previous versions. Though videoconferencing technology isn’t new, Skype makes high-quality multi-user video chatting easily accessible for the mass market. The Group Video Chat is a premium feature, meaning users will have to pay for it. Fortunately pricing won’t go into effect until the full version rolls out later this year. 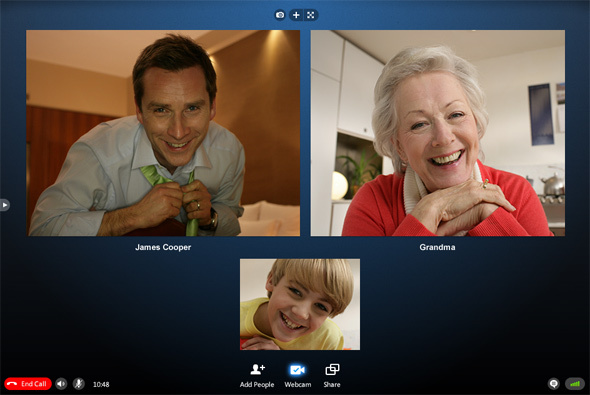 Skype assures that regular video chat (two users) will continue being free. Although they haven’t yet announced a price, we can take a look at Skype’s current plans cost to get an idea as to how much it will cost. Currently, Skype’s domestic calling plans are reasonable at about $3/month for both incoming/outgoing calls to/from landlines or mobile numbers. Even an international plan cost only a few dollars more per month which is still significantly cheaper than a typical wireless plan or landline. I would not expect Group Voice Calling to exceed $10/month considering how Skype’s generally affordable pricing plans. Skype’s decision to make video conferencing affordable is a game changer for corporations aiming to cut their spending’s on HD video communication. Plenty of businesses find it essential to communicate via video with remote employees or customers. The cost of videoconferencing technologies has skyrocketed and people predict it will continue doing so. Solutions from companies such as Cisco cost thousands of dollars each year. Skype is changing everything by offering high-quality and reliable multi-user video at a significantly lower cost. While the premium feature will likely be pennies for companies, it may not be worth the extra cost for individuals. Skatter Tech tried the beta, and we found both the video and audio quality surprisingly good. 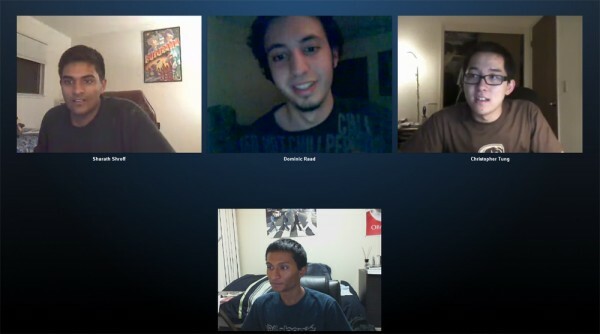 Adding users to a group call, at any point in the conversation, was simple. It is easy to determine who’s speaking, a blue outline would surround the video of the person. The program was a bit buggy, the video and audio would hiccup and sometimes users would be dropped, but overall we loved the new interface and Group Video Calling. We’ll hold off on making any conclusive judgments until a more stable release. Skype is calling Group Video chat their “next big step.” Despite the cost, it won’t be nearly as expensive as competing HD conferencing services. Being able to have HD video calls with multiple people while in the convenience of your own room brings today closer to the future. If you’re a Skype user on Windows, and still haven’t tried the beta yet, check it out and share your experience in the comments.